Collecting comic books can be expensive, and it can be difficult to keep up with the various continuities for each comics universe. So why do it? This is a question that I’ve personally been struggling with as of late, but I think I have an answer now. I should go back to the beginning to explain this better. I’ve always been drawn to the colorful, creative worlds in comics, but it wasn’t until a couple of Christmases ago that I really got into collecting them. Until then, I had only a few Sonic comics from my childhood and nothing else really. I read some comics every now and then, but the Killing Joke was really the only “serious” bit I had gotten my hands on. 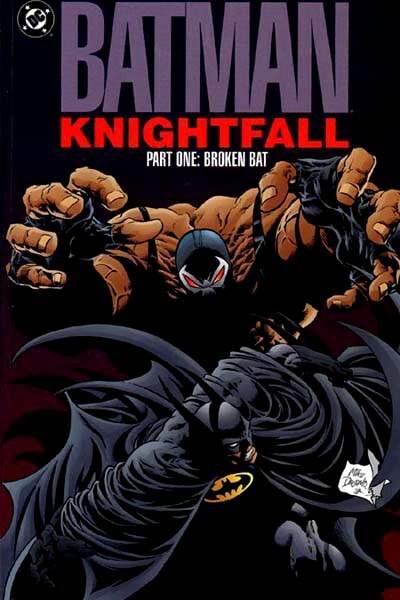 That was all well and good, but the Christmas I received the Batman: Knightfall trilogy was the one that really got me interested. Simply put, I couldn’t stop reading. I finished the hundreds of pages of each volume, and then I moved on to other books. I began to learn the ins and outs of the various graphic novel genres, and I even took a class on the topic at Niagara University. Now that I can drive and I have some money of my own to spend, I’ve only picked up the pace. Because it’s fun, and because it’s a worthwhile experience. It’s not a complex answer, sure, but a satisfying one for me. It feels good to have the physical copy of a book in my hands to read, and if you’re looking in the right places, you can find just as much to think about in a graphic novel as a regular novel- sometimes even more. So there you have it. That’s my modest, brief defense of comic book collection. If you’re on the fence, try reading a few; you never know what you could end up discovering. Just don’t be one of those people who hoards books without reading them, please.